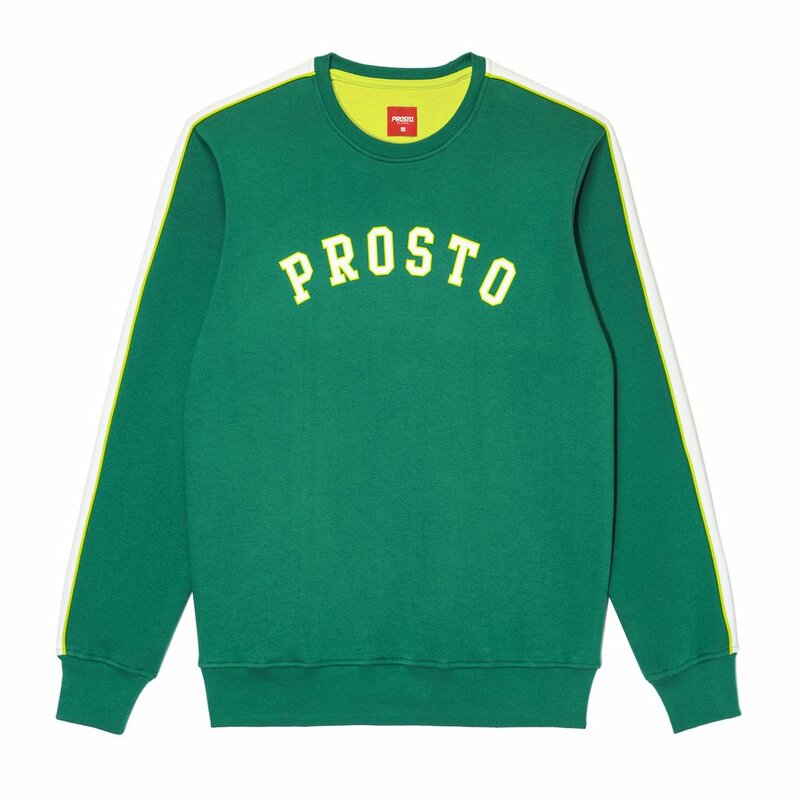 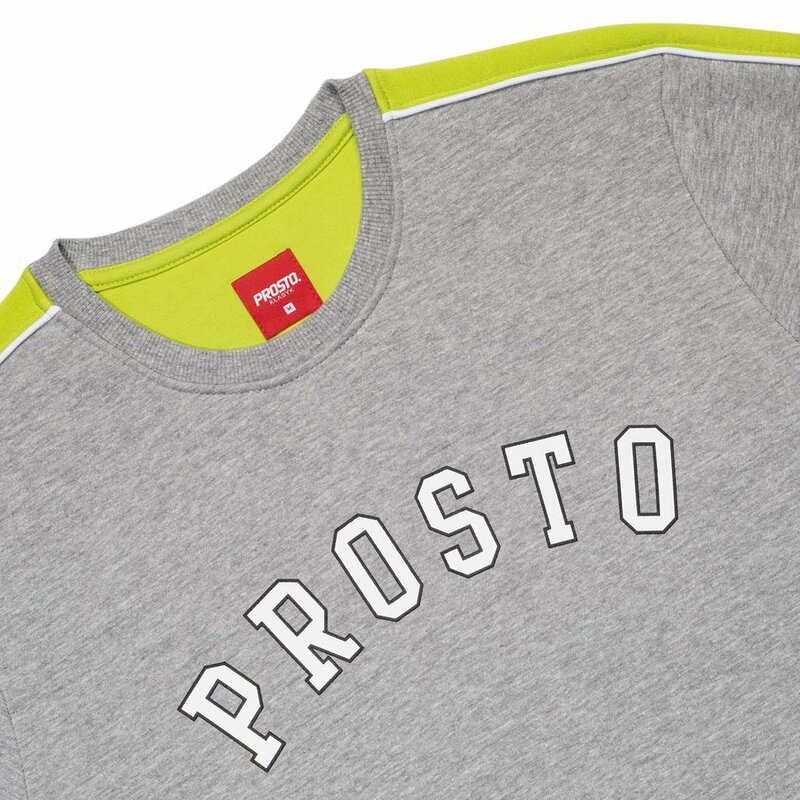 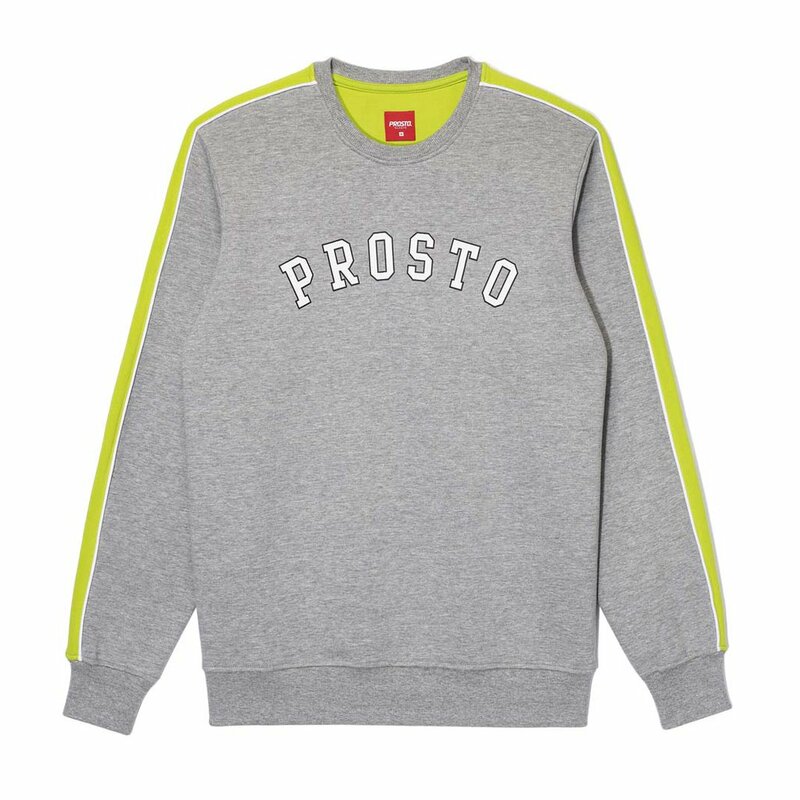 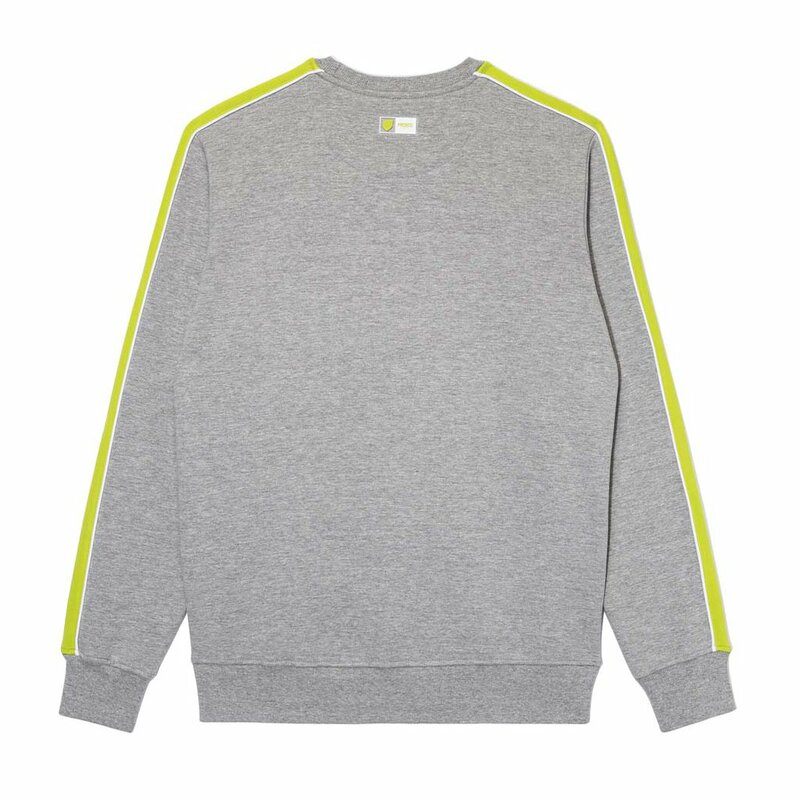 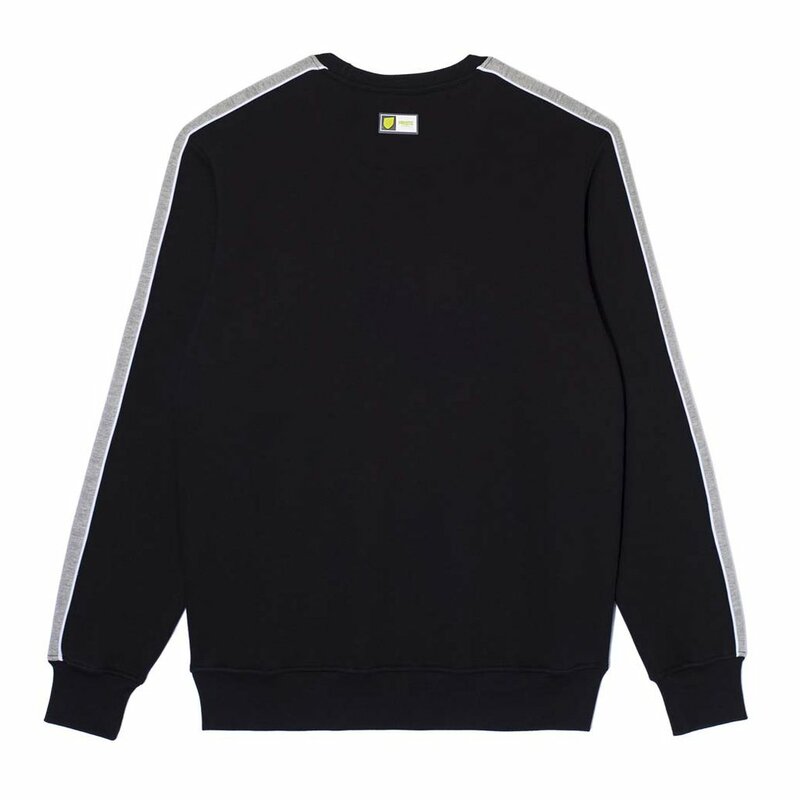 Klasyk crew neck sweatshirt featuring contrasting inserts. 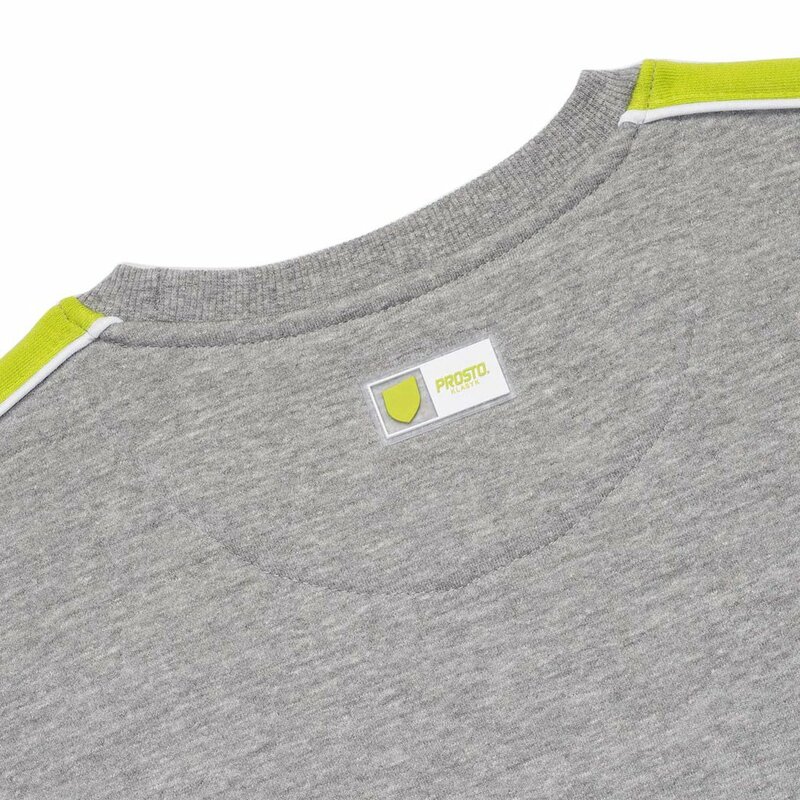 With premium quality silk screen print on chest. 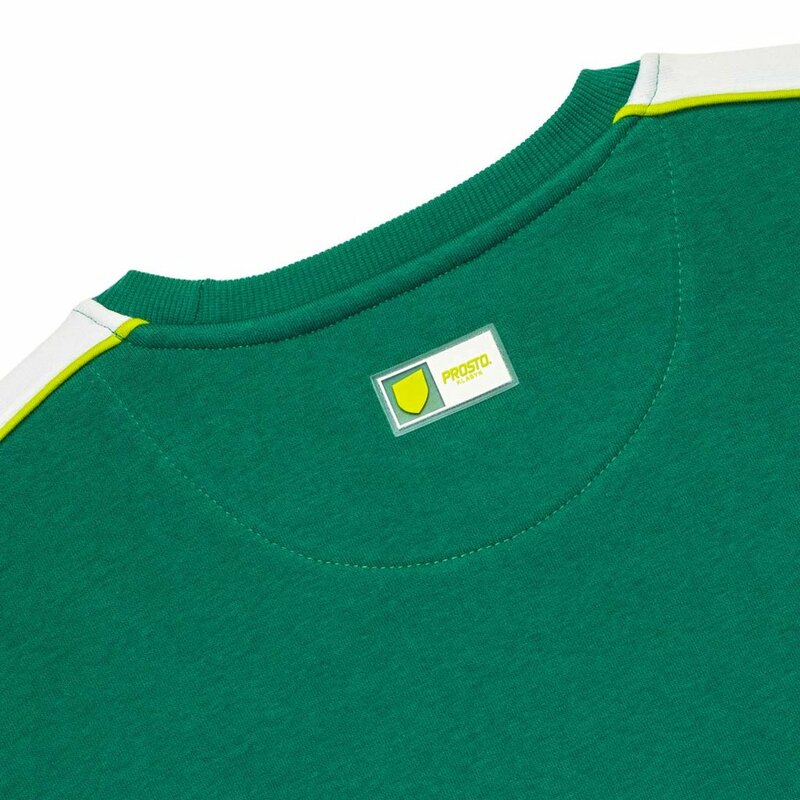 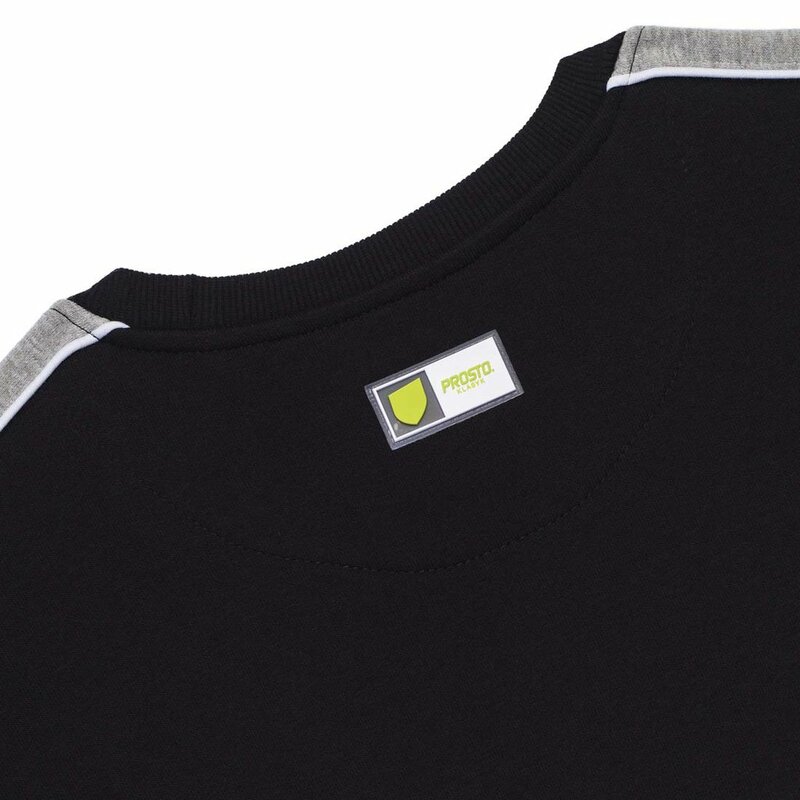 Rubber branded applique at the back neck.